We all have those hard to reach cleaning areas in our home. Sometimes we don’t clean them regularly enough and sometimes we don’t have the right tool for the job. In this post, we are going to take a look at some of the most common areas in a home that are hard to reach, how we should clean them and some tools that will help us. It can be difficult to get motivated to clean these areas, but hopefully, these tips will make it easier for you to get motivated. Dust and grime build up on hard-to-reach surfaces like cabinet tops, forming a sticky substance that can be tough to get clean. Wiping the area with a dry cloth only makes matters worse. Use a grease-fighting dish soap and damp sponge to lift the grime, and then wipe away with a clean rag. Pull out the refrigerator by grasping both sides and gently wiggling it toward you; some are on wheels, so this may be easier than you think. When you can, reach behind and pull the plug (your food will survive for the short time it takes to clean). If you have an ice maker, shut off the water supply first, just in case the hose comes loose. 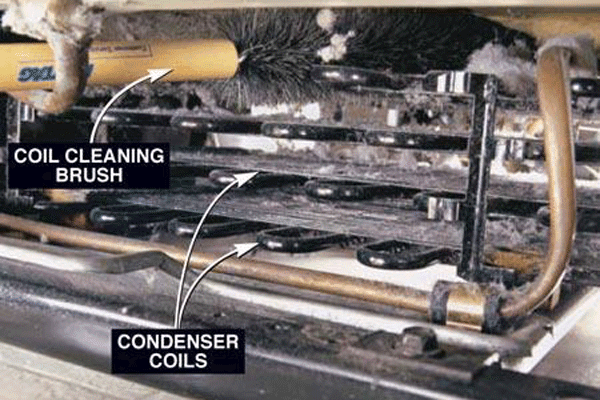 To dislodge dust around the condenser coils (the wriggly apparatus in back), use a long, thin tool known as a refrigerator-coil brush, then gently vacuum with a brush attachment. Some refrigerators have their condenser coils behind a removable grille in the front. If yours does, snap off or unscrew the grille and clean the coils, as above. Wipe down the wall, the back of the refrigerator, and the sides with a damp cotton cloth and a little dish soap. Then vacuum and clean the floor. 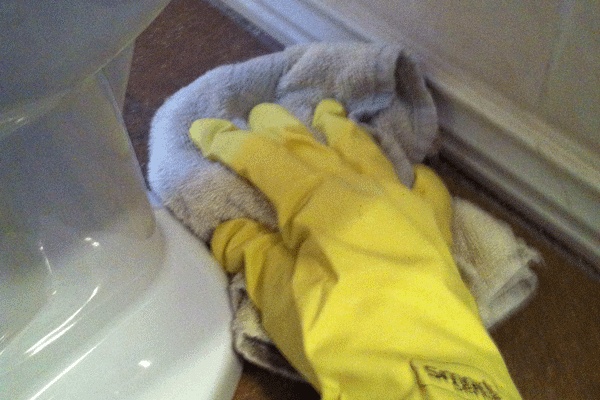 A solution of 1⁄3 cup white vinegar and ½ gallon warm water is a safe bet for most surfaces, except tile and stone. After the floor is completely dry, plug in the refrigerator and slide it into place. If you’ve turned off the water, switch it back on. Try to do this twice a year. Unless you have a free-standing dishwasher, you cannot easily clean behind it without completely removing the unit from underneath your countertop. It is advisable to let a professional remove your dishwasher if you feel that you need to clean behind it. Pull the range away from the wall and vacuum the back of it, clean the backsplash with Windex and paper towels, as well as the floor and the back of the stove. Put the range back in place and then clean the top of the stove. 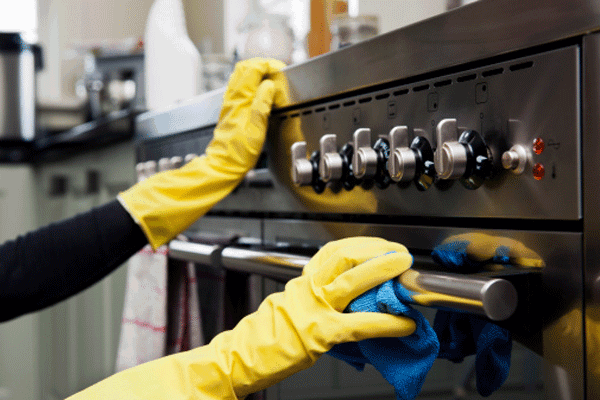 If you have a glass-top stove, use a specially formulated cleaner to clean the glass top. Don’t forget to clean the bottom drawer of the stove. It’s tough to clean the area that hides behind the toilet because there is so little room to maneuver between the bowl and the wall. 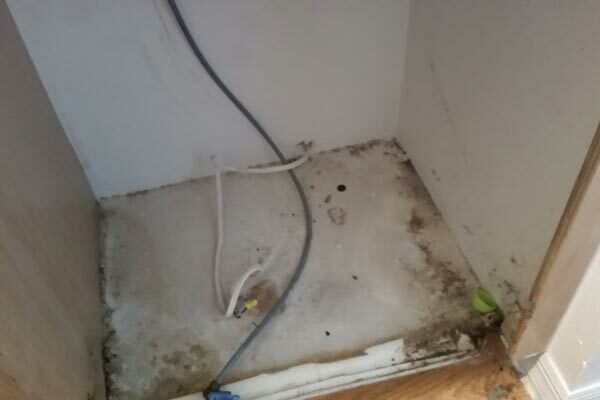 Your usual broom or mop probably can’t handle the job, and this is an area that can easily breed a mold and/or mildew problem. RightatHome.com recommends that you “bite the bullet” and crouch down on the floor armed with plastic gloves, wearing clothes you can afford to get dirty. Use a strong-bristled brush to sweep away dust and dirt, and then wipe the area down with a damp sponge and an eco-friendly cleaning solution. Because the area could easily remain damp, wipe it dry with a paper towel after cleaning. Ceilings, especially in the corners, are notorious for collecting cobwebs and dust. One approach is to attempt to vacuum the corners if they are low enough and if your vacuum cleaner has an appropriate attachment. If you have high ceilings, use a sturdy ladder to reach them with a ceiling or high reach duster. It’s always a good idea to have a second person available whenever you use a ladder for cleaning or other tasks. One person should brace the ladder for safety and should be available to assist you if you slip or fall. Never climb a ladder when you are home alone. You probably don’t move your furniture every time you vacuum or sweep, but at least once every two to three weeks you should get help from a family member or friend and make it a priority to clean the floors beneath your furniture. Dust, allergens, dirt, spilled liquids, small toys, and even clothing items can wind up beneath furniture and add to the collection of dust. Once the furniture is moved, vacuum or sweep and mop thoroughly before replacing it. As the blades spin, they likely are throwing dust across the room. 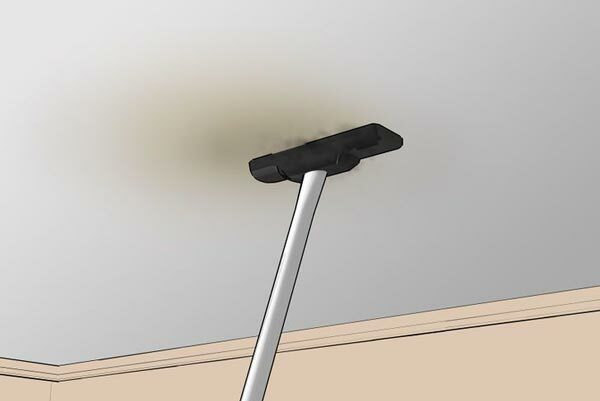 You may be able to reach the blades with your vacuum cleaner attachment or a special long-handled ceiling fan brush. However, the best thing may be to get on a ladder and wipe down the blades with a little soapy water. Vacuuming might be required if you were unable to catch all the dust yourself. 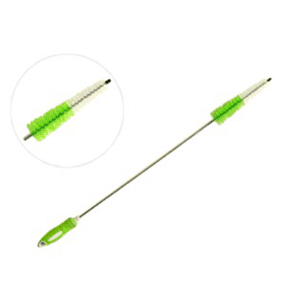 This long, thin, flexible, fuzzy tool slipped in easily around the speakers, DVD player, and other electronics, and grabbed and held onto dust. To clean it, simply slip the cover off the spine and machine-wash and dry it. 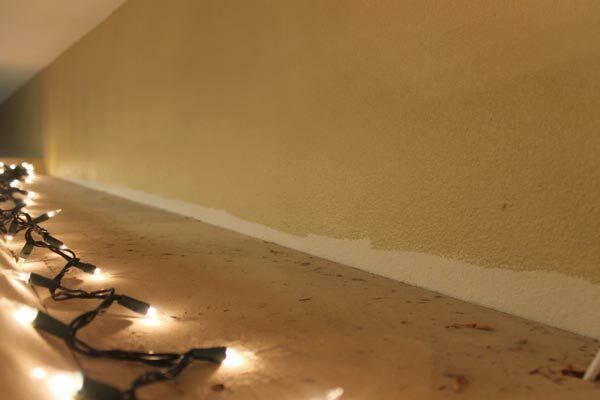 You can also use it under and around appliances and furniture, on stair railings, and more. 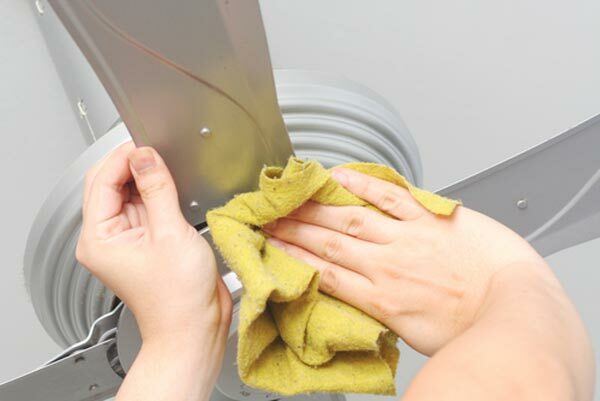 You can remove almost all of the clumps of lint trapped in the dryer vent dryer with this tool. 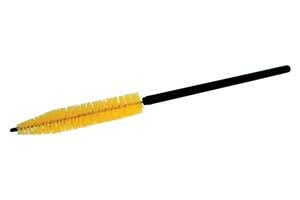 What’s great about this brush is that it’s both long and flexible, so it was very easy to maneuver into all the recesses of this tight space. 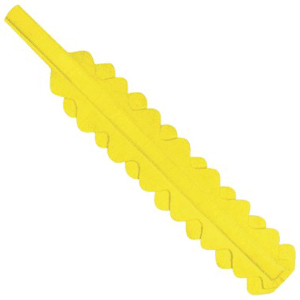 A thin tool used for cleaning refrigerator coils.